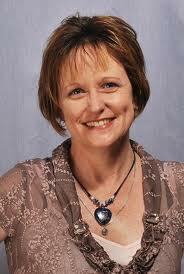 Today, I'm happy to welcome the lovely Juanita Kees to my blog. Juanita's a freelance writer with lots of strings to her bow. Her first novel, a wonderful piece of romantic suspense called FLY AWAY PETA, has recently been published by Eternal Press. I've long been a reader of Juanita's very interesting blog and have found some wonderful posts and writers over there. So today, Juanita's visiting me here in India to tell us a little about herself and about her work. She has very kindly agreed to give away a copy of the ebook of FLY AWAY PETA to one lucky commenter. So before we start, I'm just sharing the links to all of the places where you can find Juanita on the web. Then read on to learn all about Juanita and FLY AWAY PETA. I love that I can control the destiny of my characters and create a world full of happiness and dreams come true. Although, sometimes they develop a mind of their own and create their own destiny! I get to ‘travel’ the world doing research to find interesting, sometimes quirky, locations. Who are your favourite authors and do they inspire your own work? Wow! I could fill a whole blog post with the list. I have so many favorites and am discovering new ones every day. To name a few: Nora Roberts, Cathryn Hein, Anna Campbell, Stephanie Laurens, P C Cast, Gena Showalter, Erin Grace, Annie West, Rachael Johns…and the list goes on! I wouldn’t say that they inspire my own work, though. I like to think I’ve found my own voice, but they do inspire me to write and to believe in making my own publishing dreams come true. Do you have a daily routine for writing or do you wait till you have an idea to write about? I probably should have a routine, but sadly life intervenes. I write as much as I can, whenever I can. I carry a notebook everywhere and jot down ideas at random moments and then compile them when I have time. More often than not, I’m up all night tapping away. Who needs sleep? Do you miss the world you created in FLY AWAY PETA? Would you like to write another book set in that world? Or have you moved on? No, I’ve moved on, but they made such an impact on my life that they have pride of place on my bookshelf. Thankfully though, the delicious detective Mark Johnson makes an appearance in the next book, Taming the Tiger due for publication soon! It’s not quite his time to find the love of his life yet, but he’ll find her. When Mark Johnson is called out to the scene of a murder, the last person he expects to see there is Lily Bennetti. And it seems she’s in a world of trouble. Lily was a mild tempered school girl when he’d seen her last. So how did she come to be standing over a dead man’s body with a knife in her hand? Worse yet, how will he overcome the attraction he feels for his murder suspect? Lily has her son to protect and secrets that run deeper than the scars she hides from the world. Mark Johnson is the last person she wants uncovering those secrets. Especially the truth about her feelings for him and who really killed her husband. This is all very exciting. I look forward to reading more about and more from Juanita in the near future. Meanwhile, readers, comment before you leave to be in with a chance to win Juanita's novel. Peta Johnson will go to extreme lengths to protect her daughter Bella. When the child is kidnapped, the search for her takes Peta back to the small Western Australian country town of Williams, a place she’d vowed never to return to. The town where her dreams were shattered and her nightmare began. Back to the place she’d been destined to meet two very powerful, yet very different men. One would break her heart, the other would destroy her soul. Both would change her life forever. Hello everyone and thanks for having me over today, Maria! By the way, Taming the Tiger will be released under the exciting new title UNDER THE HOOD and will be on virtual bookshelves in March.It's fun and feisty and I hope you'll enjoy it as much as you did Fly Away Peta. Gosh your characters all sound wonderfully intriguing! Great interview. I always love to learn about the working habits of writers. I'll be looking out for that one too, Juanita. Thanks for the interview and giveaway, it's a pleasure to host you! Oh, Edith, it's lovely to see you over here. Thanks for stopping by! When did you first realize you wanted to be a writer, Juanita? Great interview, Maria! I'm definitely putting this book on my to be read shelf! Congrats Juanita. Found myself rooting for your heroine already, love sprinted woman characters. Can't wait to read this! Great interview!!! I'll have to check out the book ;) I do love me a "true hero" helps that he's hot! Congrats on the release and on the sequel! I loved Fly Away Peta and looking forward to Under The Hood. This title sounds intriguing. Thanks for featuring Juanita, Maria. And you ask some awesome questions! Hi Juanita. I read somewhere that an author who can write a good hero will be very successful. I'd say you are on a winner there with Jaime! By the way, is that pronounced as Jaimee or Jame as in James? Thank you, I'm glad you find them intriguing. I love creating characters with depth and personality. It's so much fun. Hi Angel! I've always wanted to write. From the moment I learned to use a pencil, I was scribbling away. My dad is a wonderful storyteller, so I like to think I inherited his gift. Thank you for putting it on your bookshelf. I'd love to hear back from you when you've read it. Peta is certainly spirited. She's no shrinking violet. If you love spirited women, you are going to adore TJ, the heroine in my next book UNDER THE HOOD which will be released by Escape Publishing in March. The good thing about Fly Away Peta is that, although there are elements of suspense and intrigue, the focus is on how those situations reinforce their relationship. I hope you'll enjoy it and would love to hear your thoughts when you have. I was very sad to see Jaime go in the end. I wanted to keep him! Now Scott Devin in UNDER THE HOOD? Phwooar! He's definitely a keeper. It's wonderful creating true heroes, who not only have depth, but reflect good values too. I'm so glad you enjoyed Fly Away Peta. I'm sure you're going to love Scott and TJ in Under the Hood too. Look out for Detective Mark Johnson in it because I'm penning his story as we speak in Under Cover of Dark. Lovely to see you here. I'm very excited about writing Mark's story in Under Cover of Dark. You'll recognize some of the characters from Fly Away Peta and Under the Hood in his story too! Hi Cherie, gosh I really hope so! Jaime is a winner in my eyes (and Peta's too, lol). His name is pronounced Jaimee. I think it suits him, do you? Good interview. I look forward to reading your debut novel - sounds like a good one. Hi Angie! Thanks for stopping by! Hi Ruchita, we got both your comemnt. We're lucky today, getting two comments from you! Hi Rachel, thanks for your visit. I like heroes that stand out for some reason. The hero of this book sounds intriguing all right. Great to see you here Nas. In your various manifestations. Good to see you here. It's nice to know that you recommend the book. I love authors who are so enthusiastic about their characters. 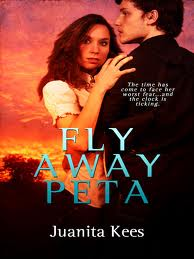 I have Fly Away Peta in my TBR pile (on my Kindle!) and I'm looking forward to your Escape title, Under the Hood! Lovely to see you here in India, Juanita :) Next week you'll be in Melbourne, Australia on my blog!! Great interview, Maria. Thanks for having Juanita as your special guest blogger. Hi Crystal. You're very welcome. Thanks for stopping by. I'm so so looking forward to Darkness and Light, Juanita. I thought Fly Away Peta was just brilliant! Really awesome interview Maria! And yes this book totally rocked! I know what you mean about feeling we should be in control of our characters but that it doesn't always work like that. Hi Crystal :D Glad you enjoyed the interview. Maria had really fun questions! Gosh, I am clocking up the frequent flyer miles! Looking forward to spending the day with you in Melbourne. I'm so glad you enjoyed Fly Away Peta. You're going to love Under the Hood with TJ and Scott. It's fast and feisty. I've now renamed Darkness & Light to Under Cover of Dark - it seemed to suit Mark's story so much better! That right, Patsy :D Sometimes they have a mind of their own - which is a good thing because it can take your story on a whole new journey. Great interview, ladies. Lovely to meet you, Juanita. Hi Suzanne, lovely to meet you too! Great interview Maria and Juanita! Juanita, your books sound awesome:). I'm so curius as to what tore Peta and Jamie apart in Fly Away Peta. Also, what an intriguing story line in Darkness and Light with the cop and murder suspect! Yes Des, we'll have to look out for the next one now! Yes, sometimes characters take on a life of their own....amazing, isn't it? Great to see you here, Teresa as always. I'm having great fun plotting out Mark's story. I've since changed the title to UNDER COVER OF DARK. Mark and Lily have a rough road ahead in their journey to love.